In the green house (winter garden) You can have Your breakfast, make Yourself a cup of tea or coffee, heat up a snack in the micro, relax after sauna, watch TV or the views over lake Varpan. In greenhouse room there are two beds and space for two extra beds. You choose if You want a double bed or separate beds. The ordinary 2 beds are (90 x 200 cm) and the 2 extra beds are (80 x 200 cm). All beds are proper, i.e. real interior sprung mattresses. Eventually we have an extra room available, “The Carpentry”. 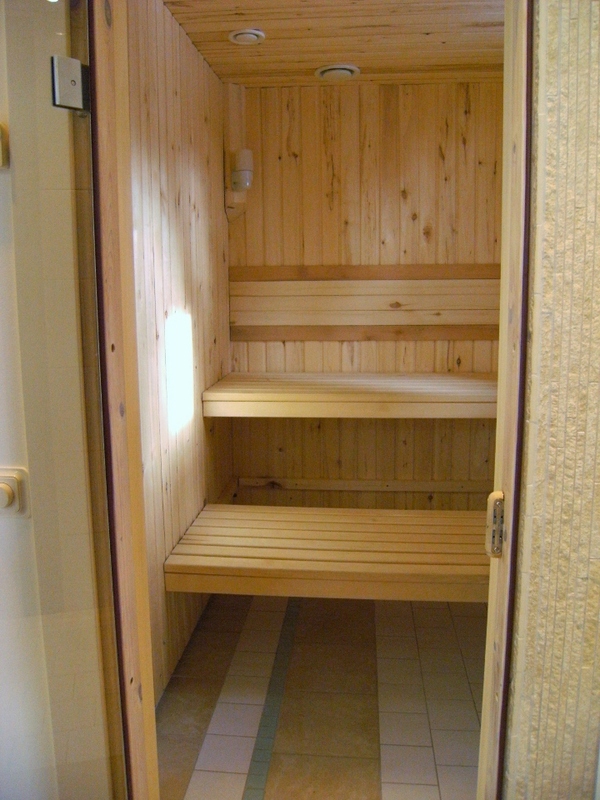 It has a separate entrance and is about 4×6 m. Bathroom, shower, sauna and winter garden is shared with the other guests. 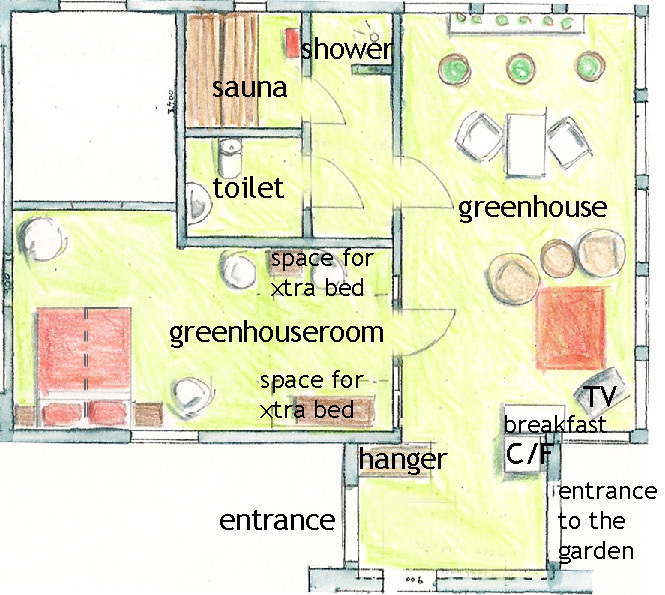 Furnishing option during WSC 2015, separate beds (SP).